The Federal Election Commission delayed a vote on a plan to provide free cybersecurity assistance for campaigns, with the panel’s chairwoman voicing concerns it could the open the door to corporate money in campaigns. Ellen Weintraub said she supported the goal of cybersecurity but questioned whether the proposal could grant broad leeway for providing aid to campaigns outside the limits and restrictions of campaign finance law, including a longstanding ban on corporate contributions to candidates. “We do not want to inadvertently blow a hole in the corporate contribution ban,” the Democratic chairwoman said at a commission meeting today. The nonprofit watchdog Campaign Legal Center, which had voiced similar concern about the initial proposal, has signed off on a compromise that includes language emphasizing the aid is tied to the imminent threat of illegal foreign interference in elections. The commission may take up the issue again at its scheduled April 25 meeting. 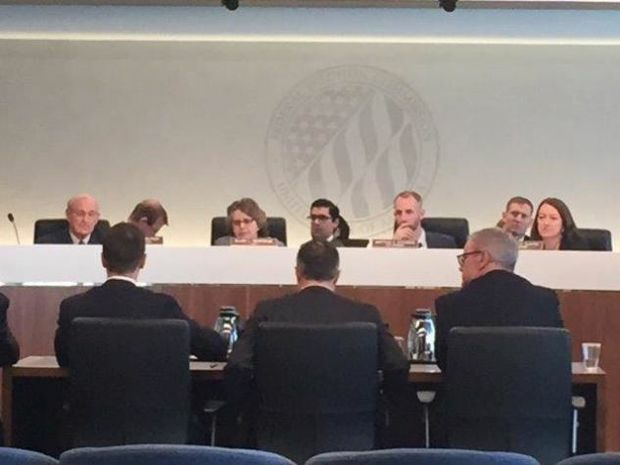 Top campaign officials and election lawyers from both major political parties urged the commissioners at the meeting to approve a plan to allow a new, privately funded nonprofit called Defending Digital Campaigns to provide cybersecurity support to candidates and party committees. The nonprofit would be directed by a board including Democrat Robby Mook, Hillary Clinton’s 2016 campaign manager, and Republican Matt Rhoades, who managed Mitt Romney’s 2012 presidential campaign. Rhoades noted that Romney’s campaign was targeted by Chinese hackers in 2012, while Clinton’s campaign was targeted by Russians in 2016. He said campaigns would be more open to accepting cybersecurity help from a private, non-political group, rather than the government or a national political party. Mook emphasized that the requested FEC ruling would allow urgently needed help only to deal with the continuing threat of campaign hacking. “We’re not looking for any loopholes,” he said. Mook said funding for the help provided to campaigns would likely be provided by individual donors and nonpartisan foundations. He said there were no plans for elected officials to be involved in fundraising efforts.